This subject contains information on health issues that are pertinent to the Deaf community. There are many reasons for deafness. Diseases or viruses during pregnancy, in childhood and later life, hereditary factors, exposure to loud noise, head injuries, ototoxic drugs, allergic reactions and aging can all be causes of deafness. I can’t think of anything worse than to be cut off from the world by being both deaf and blind. Recently I have come across a number of people on our Cochlear Implant Experiences Facebook group who suffer from this. How hard their lives must be and I wondered what caused it. From time to time we are all troubled with minor illness like a cold. So how does a cold affect our hearing? Those of us who have gone deaf in later life often feel in some ways punished because of our social isolation. Being hearing in a hearing world is what most of us experience. It’s part of our life and something we mostly take for granted. So what does someone do who loses their hearing when they experience a trauma? While there are three different types of hearing loss; Conductive, Sensorineural and mixed, they can be caused by many different things. The place for social change. This website has information on issues pertaining to health, in regards to Deaf individuals. It's bad enough to go deaf because of aging or due to disease, but to go deaf by accident – through a sudden traumatic event, must be devastating. Sudden hearing loss is a loss which occurs in 1 to 3 days. One of the most common causes is a head trauma. Most of us know that if we are exposed to constant noise (above 50 decibels) then we increase the risk of permanent hearing damage. But did you know that hearing loss is only one of the problems associated with exposure to noise? Our ears not only channel sound into our cochlea and then to the brain so we can understand noise, they also play an important role in allowing us to stand upright – to keep our balance. Does our general health affect our hearing? It has long been recognised that hearing loss can have an effect on our mental health causing anxiety, loss of self esteem and depression. Are things which are going on in other parts of our body affecting our hearing? In South Australia we have endured a heat wave and Adelaide, our capital city, earned the title (for a day) as the hottest city in the world. I wondered whether this heat can affect our hearing. There are a few things which might affect our hearing. As women age they often take HRT. This article discusses HRT in relation to hearing loss. It seems so simple. We have ears and we hear don't we! We never give much thought about the process and never have to think about hearing because it's something most of us have always taken for granted. But how do we actually hear? For most of us we have heard since we were born and we took it for granted just like we took our fingers or toes or nose for granted. We had it - we heard - and we thought there was nothing we had to do to make sure it continued. Most often when someone starts to go deaf they find only one ear works well while the other fades. Somehow they still manage extremely well. They only have a Mild Hearing loss and work around this loss to maintain normal function in work and relationships. A moderate hearing loss impacts on daily life. Environmental sounds and the cues these give you, often for your own safety, are missing. It is important to seek professional help, manage your loss and wear hearing aids. Only about 2% of people ever get to the stage of having a Profound Hearing loss and in the past, there wasn’t much they could do about it except live with it. Luckily only about 15% of people who have a hearing loss have a loss which is either Profound or Severe. So if you have a profound loss you are in an elite group. This means you have trouble hearing sound unless it is greater than 65 decibels in volume. Menieres syndrome is a diagnosis that is not easy to live with. It is one of the most debilitating conditions affecting quality of life. Read about the disease and link to two stories of people who have it. It’s Mental Health awareness week here in Australia (October) and many programs on television and radio are geared to the issues of Mental Health. Depression is a common side-affect of hearing loss. This is an article that details mental health isssues and the Deaf. One day medical science will be able to rejuvenate our hearing using our own genes. I hope I’m around long enough to enjoy it! Otosclerosis is a common cause of deafness, particularly for women. What is it? 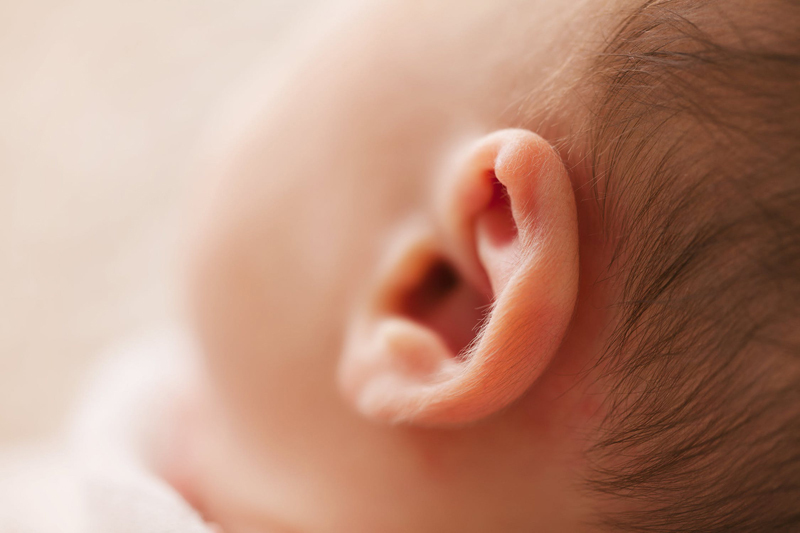 Many women report a change in their hearing during pregnancy. Is there a link between pregnancy and hearing loss? Sensorineural hearing loss the most common cause of hearing loss and is the age related cause of deafness. What is this condition and what are the treatments? Some people don’t like musica at all because it makes no sense and is unpleasant. Others can’t recognise a beat, while others simply can’t recognise a melody or sing in tune. Modern living has introduced so many new sounds. Are you aware of how much noise there is in your own home? Hearing loss often is silent. Rarely is it sudden (although that does happen). More often it is a slow and gradual loss and this can be difficult to recognise. Hyperacusis is a hearing disability, a reduced tolerance to noise, which means that many everyday sounds are painful. Vertigo is debilitating while having an attack. It is not Meniere’s disease, which has some similar symptoms. Vertigo is not dangerous and usually goes away with rest. There’s no need to be afraid of taking a hearing test. You won’t be poked with needles or asked to strip off your clothes! A hearing test is simple, has no risks and causes no discomfort.